The Automatic Pallet Hook has been designed to handle palleted goods safely when being lifted by overhead crane. 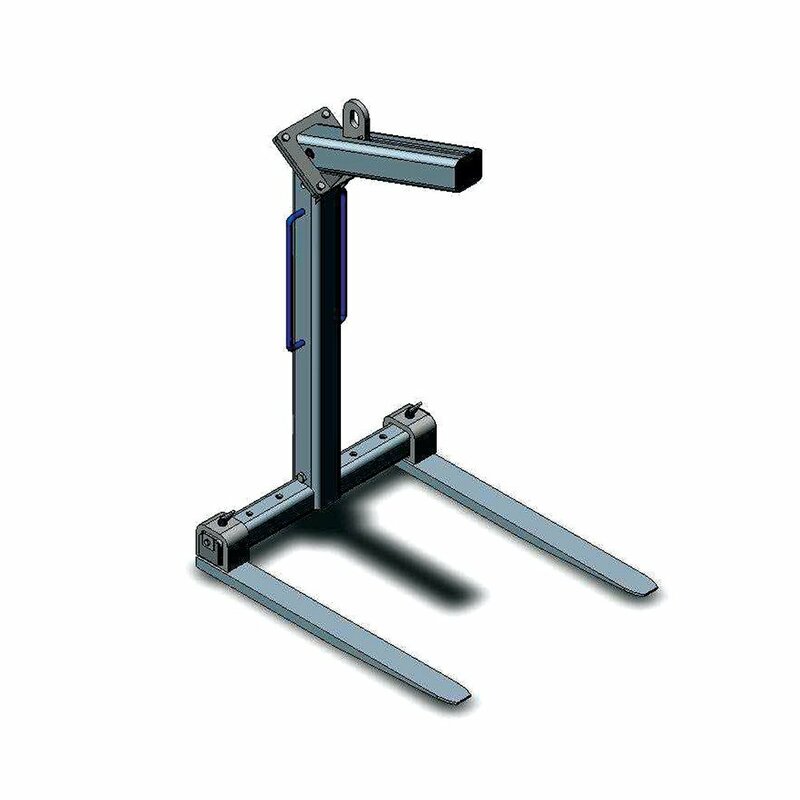 The unit self balances when loaded for ease of operation with an internal spring mechanism ensuring the lifting eye is in the correct position to maintain the Fork Tines horizontally. The robust high tensile steel lightweight construction delivers maximum strength with zero maintenance and ease of use. Fork Tine width is adjustable to 315, 595 or 875mm centres. The standard finish on the Pallet Hook is Zinc Plated.